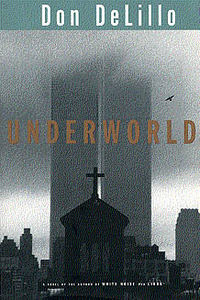 In his review of Don DeLillo’s highly acclaimed Underworld – whose sheer size and overall chutzpah established it as the last great novel of the 20th century – James Wood observed that “the book is so large, so ambitious, that it produces its own antibodies and makes criticism a small germ”. I’ve often thought that the same description could apply just as easily to capitalism. Every attempt to curb its voracious appetite, to “humanise” its world-wide dominion, to place the economy back in the service of the greater good and thus temper its lust for unregulated growth, has not simply failed, but has been assimilated, folded back into the existing economic order and turned into yet another expression of capitalism itself. Take, for example, the wide-spread use of “anti-globalisation” rhetoric by designer labels and marketing firms, or even the current wave of chic enviro-fundamentalism. In both cases, there is a kind of coming together of opposites, where two trends which are logically opposed (like popular consumerism and radical conservationism) come to occupy the same space, and seemingly without contradiction. 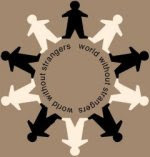 So, the exemplary product of global capitalism are T-shirts made in Chinese sweatshops bearing the “World Without Strangers” motto. Yes – capitalism, too, produces its own antibodies. And it seems that nothing is outside of its grasp. Choice itself has thus become the true object of human longing, a longing that has parasitised or colonised human nature itself. And so it seems that Karl Marx was right: the vision of capitalism that I’ve just described – which embraces the entire globe, which can generate more money ex nihilo through the mysteries of financial derivatives and futures speculation, which can bring together polar opposites in apparent economic harmony – is, in the end, theological. Or, to put it another way, capitalism is Mammon. So, here’s my question: how can we take Jesus’ statement, “You cannot serve God and Mammon,” seriously when God and Mammon are now in cahoots? Let me explain. While everyone loves to poke fun at the ridiculous platitudes of “prosperity theology”, the conspiring of God with Mammon is much, much older. Max Weber, in his The Protestant Ethic and the Spirit of Capitalism, famously proposed that the capitalist disposition to earn and accumulate arose directly from the Puritan sense of calling which embraces all of life. But now that the capitalist drive has shifted from thrift to choice, from prudence to indulgence, from accumulation to experience, the way religion operates within capitalism has also changed. Instead of a secularised motivation for work, the function of religion today more closely resembles those medieval rituals that provided sinners with the means whereby to atone for their sins. We have our own thinly veiled forms of penance – like tithing, charitable donations, watching PBS – each of which makes us feel better about participating in decadent consumerism. And not only that, these forms of penance allow us to participate by relieving any sense of guilt. 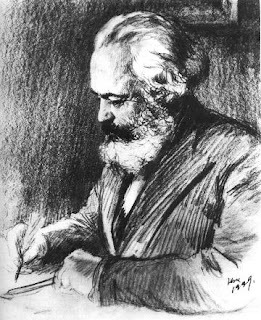 When Marx goes on to insist that a critique of capitalism must begin with a critique of religion (“the criticism of heaven is thus transformed into the criticism of earth”), wasn’t he simply repeating Jesus’ warning, “Beware of practicing your righteousness before other people in order to be seen by them”? Such expressions of disingenuous charity – performed for one’s own peace of mind and in the service of Mammon – are the oil in the capitalist machine. Perhaps the best way of breaking today’s alliance between God and Mammon, then, is to refuse ourselves the false comfort of token acts of charity and fashionable faith, so that we can see our behaviour for what it really is and dare really to live differently. Now just to be clear, so that no one can come back later and accuse me of coming dangerously close to Marcionite language, let me just confirm that I am absolutely a Marcionite! Radical Paulinism – as Barth recognised in the preface to the second edition of The Epistle to the Romans – represents one of the crucial resources for opposing capitalism, liberal democracy, and the inherent idolatry that sustains them both.